Because I never settle for mediocre ideas or executions. Working together with my clients I've always been enthusiastic in exploring and problem solving until an appropriate and effective idea comes to the surface. I will illustrate and re-illustrate as many times as it takes until I can present a final image that pleases both myself and my client. Because I get my work done on time. Everytime. Because I'll work within and stay on your budget. I was chosen by Leo Burnett to illustrate what became the longest running Fortune 500 print ad campaign (Allstate) in the history of advertising. Over 30 print ads spanning some 8 years with an annual media budget of $60 million. We became a team. Based on hard work and trust. 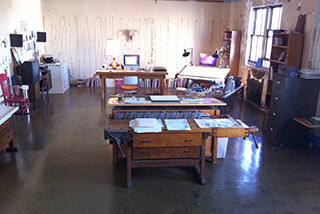 Went to Drake University— moved to Chicago and opened Mark Anderson Studios. 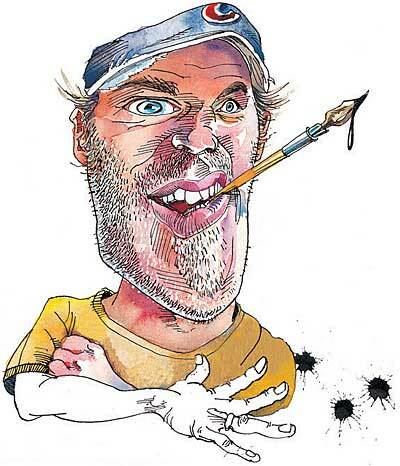 My illustrations have been in Time, The New Yorker, National Geographic, Newsweek, Outside Magazine, Chicago Tribune and many other periodicals. I have illustrated and designed over twenty books for Triumph Publishing and have illustrated the country’s longest running illustrated advertising campaign for Allstate Insurance. Phew. From business cards to murals, I love to see how a project takes form and grows stronger from working together with good art directors and editors. I strive to push the boundaries of art and illustration and to design the most refined image, or splatter the paint and let the drops land as they may. If there is one thing that I’ve learned from having my own design firm and illustrating professionally for over 25 years, is that an effective image always comes from it’s level of appropriateness. I approach every assignment with that in mind thus, altering my style as I consider it’s intended audience.